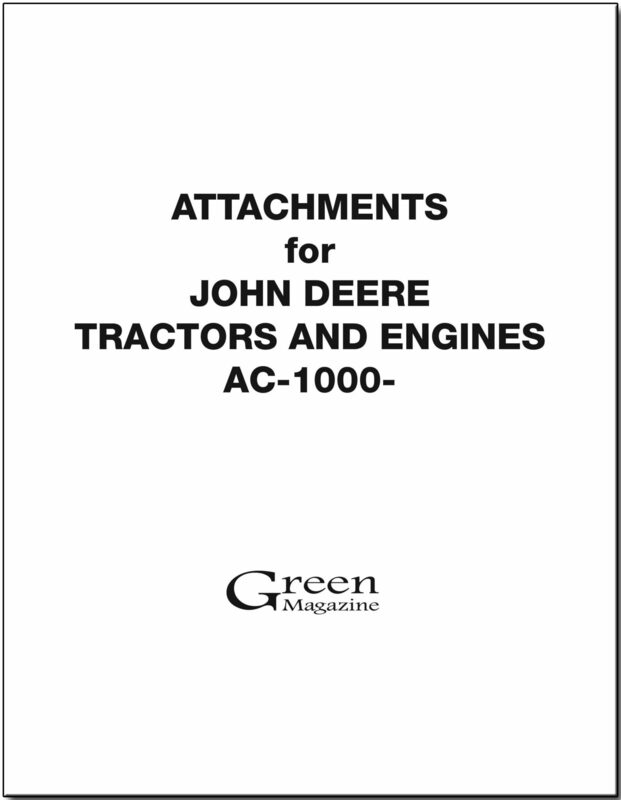 A reprint of the catalog sent to John Deere dealers in October of 1958. It shows accessories and attachments available for two cylinder tractors, such as weights, axles, wheels, tachometers, seats and lights. Also, mufflers, hydraulics, fenders, belt pulleys and 1000 RPM PTO conversions. Covers all two cylinder models, except “L” and “GP” series. Most letter series attachments are not pictured, just described. This is not a book of machinery or implements.